Feb 15 2016: Damn you, Thai Pringles!!! We are seeing some administrative progress for our bikes. We've finally received our Green Book (ownership papers)! We just need license plates issued to us and then we're legal to leave the country. How exciting! 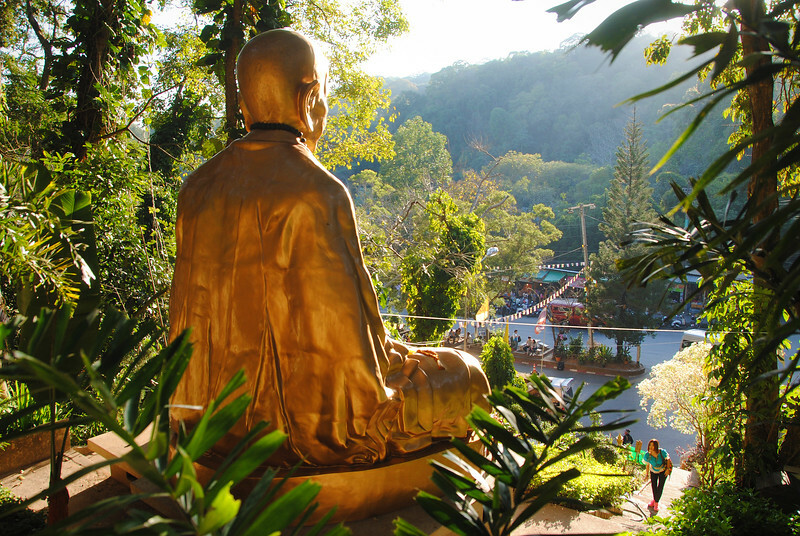 This isn't our first time to Doi Suthep. 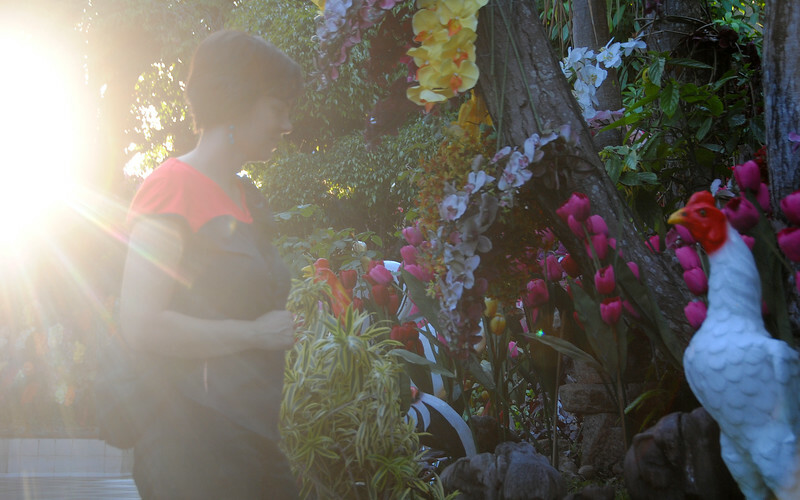 We paid a visit when Iva was here a couple of months ago and we all piled into the back of a Song Thaew, which took us up this very twisty mountain road. Because you're sitting sideways on the bench seats in the back and can't see out the front window, many people experience severe motion sickness. At certain stops along the curvy roads there are these funny cartoon signs of a person with their head hanging over a toilet - designated vomit stops. I think it's actually a game the Song Thaew drivers play to see how many people they can get to puke after their mountain rides. 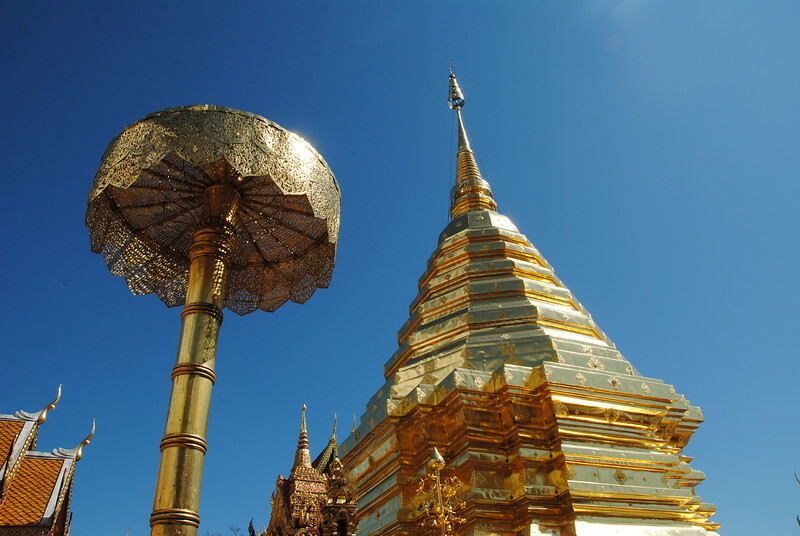 Anyway, the first time we visited Doi Suthep by Song Thaew I was too sick to go inside. So this time, I actually got to see it! Yay for having our own wheels! 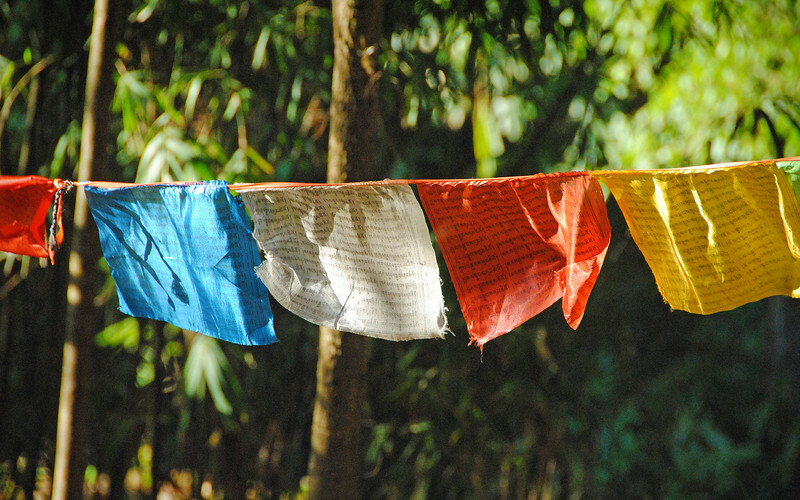 Prayer flags! Last time we saw this was up in the Himalayan Mountains in India! Is it bad to say that I find the realistic statues kind of unnerving? 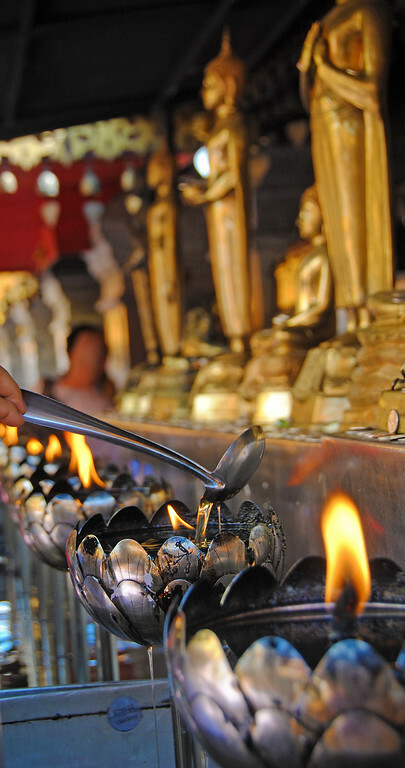 After a few months of self-imposed rest and relaxation, we are finally going out and making friends in Chiang Mai. 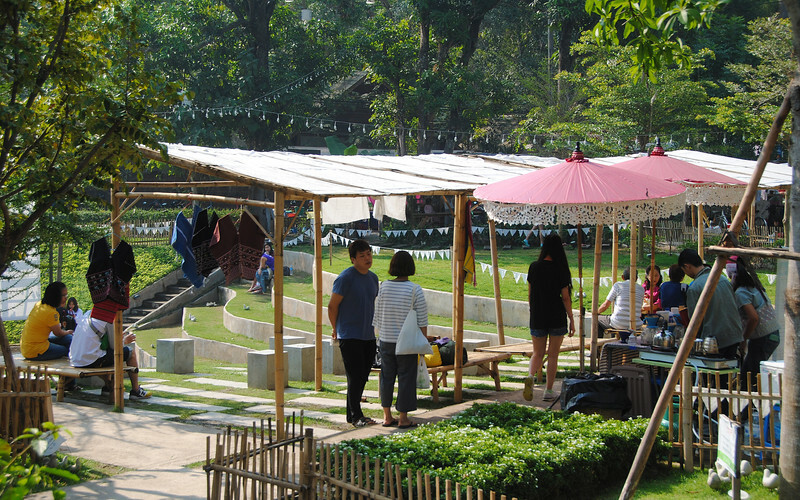 Because of the low cost of living here, Chiang Mai is the #1 hub for Digital Nomads - location-independent workers who contract out to western companies, earn western currency but live elsewhere in the world and pay cheaper living expenses. Although we're not Digital Nomads ourselves, we've joined a few social media groups and started making some friends in the community. Out for a day ride with our new riding buddy, Glen! We made a motorcycle friend! Glen's a fellow Canadian ex-pat originally from Montreal, but he's lived in Chiang Mai for the last 7 years. 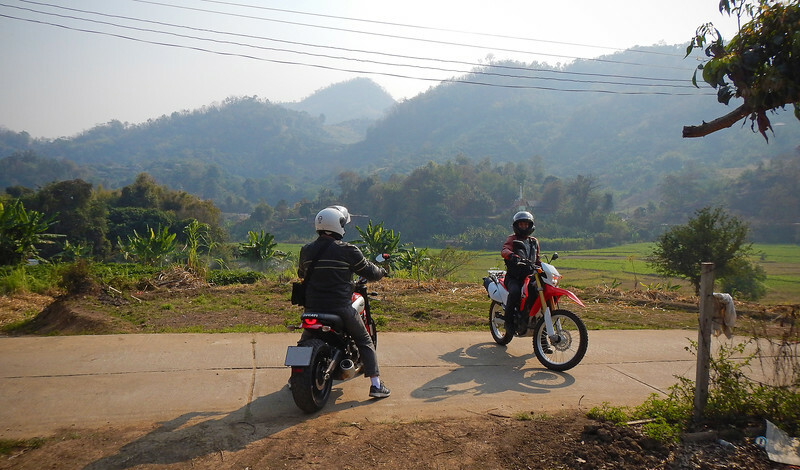 He was nice enough to show us all the twisty roads outside of Chiang Mai! He rides a Ducati Scrambler, which regularly leaves us behind in the dust when we're climbing hills. 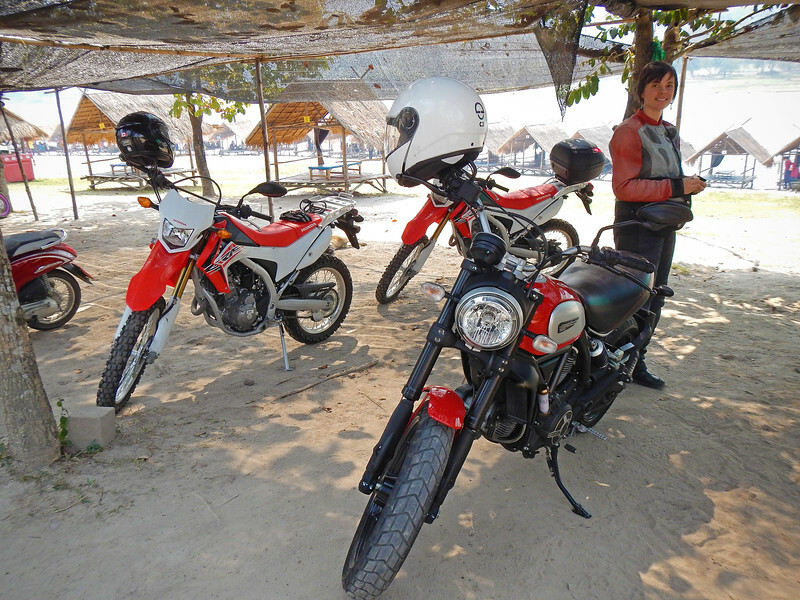 Ducati, like Honda, is another manufacturer that has a factory in Thailand to cater to the domestic market. The Scrambler and Monster are made here and sells for the same price as everywhere else in the world. However, the Italian-made Panigale retails for over twice the rest-of-world price because it's imported. Imagine paying $50,000 for a base model 1299. Crazy. It's unfortunate that we are starting our motorcycle explorations this late in the season. Around this time of year, Northern Thailand is shrouded in smoke because of the burning season - the time of year when farmers burn their fields after their harvest to prepare for the next year's growing season. This city gets it especially bad because it's in the valley surrounded by mountains which trap the smoke. The Chiang Mai social media forums are all abuzz with Air Quality Index reports, discussions about which face mask is the best to buy and opinions on where else in Thailand to go to escape the smoke. 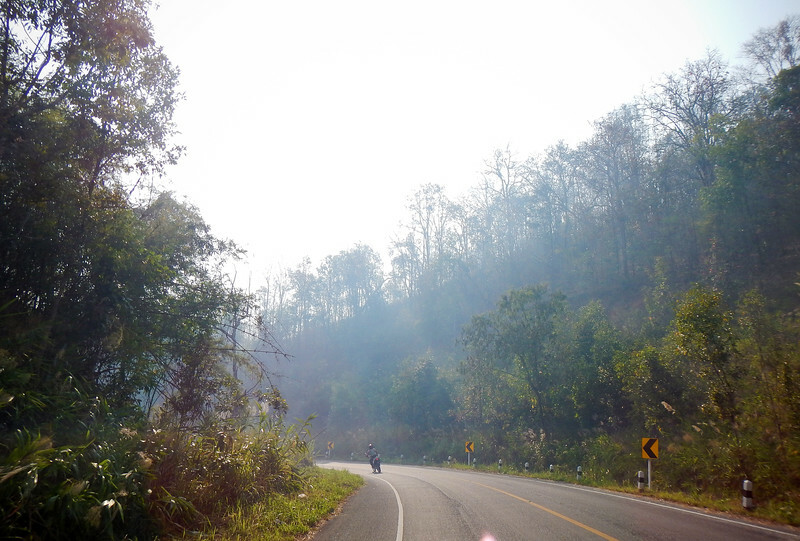 For us, our near-term plans are to head straight into the burning fields of Northern Thailand. The best time to travel would have been in November when we first arrived. *shrug* But what can we do? We have to heed how we're feeling at the time and not force ourselves to travel just because the weather is optimal. 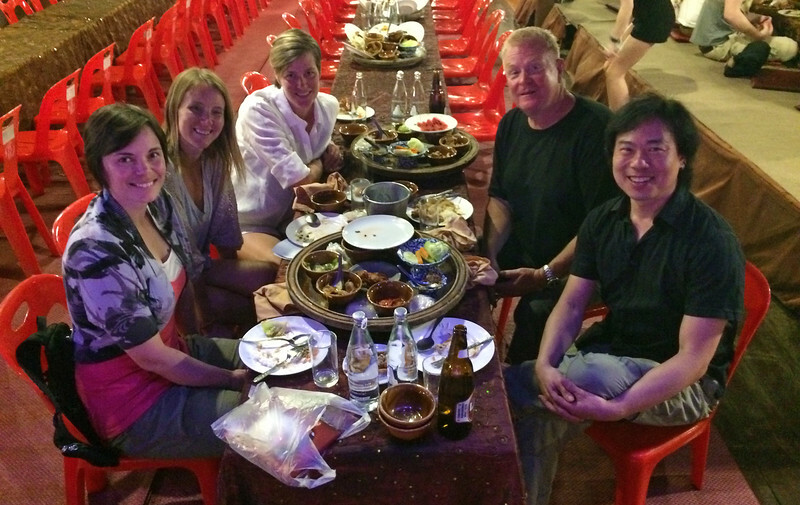 Glen took us to his favorite fish restaurant in Phayao, a few hours east of Chiang Mai. 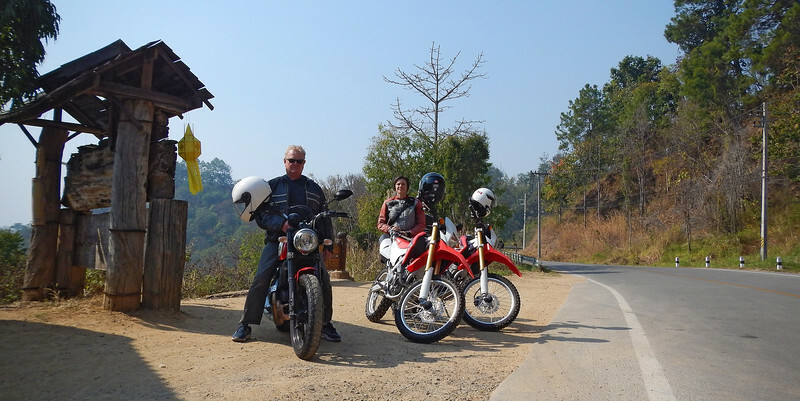 The ride took us over a couple of mountain ranges, so that meant many twisty roads. Very nice! As we were being seated at the restaurant, the waitress looked at me and asked me some questions in Thai. I responded with a blank look on my face. That's when Glen spoke up and started ordering in Thai to the waitress' astonishment (and mine too). Wow! His Thai was amazing! And boy did I feel embarrassed! Watching him converse with the waitress really motivated Neda and I to learn the language. Long ride back to Chiang Mai. 500 kms for the day - on a stock CRF250L seat. Torture! We must get better seats! 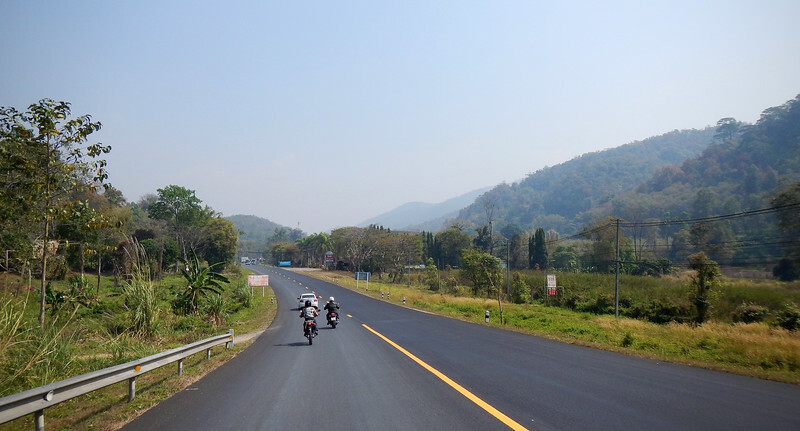 Our first long ride to Phayao and back revealed some things we need to address on the motorcycles. The seat is the biggest problem and will prevent us from doing long days in the saddle. Also, I'd like to mount a GPS on the bike so we don't get lost. Throttle rocker would also help us with cramping up from gripping the throttle all day. Unfortunately all this stuff is not easy to obtain in Thailand and to ship it in will cost a fortune and who knows when it will arrive? 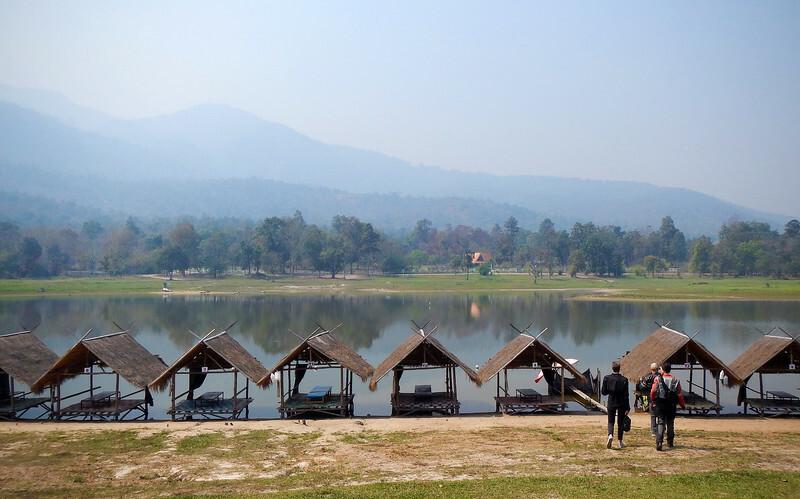 Neda organized a short bike trip just outside of town to Huay Tung Tao Lake, we invited Glen and his wife to come. 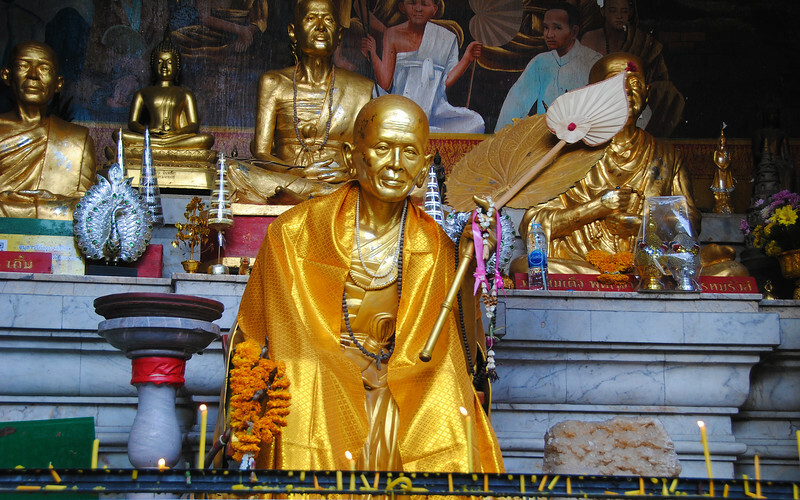 Glen took us for a short tour around Chiang Mai. "This is Sibsongpanna, they have a nice buffet and a cheesy Thai dance show, I'll take you sometime!" 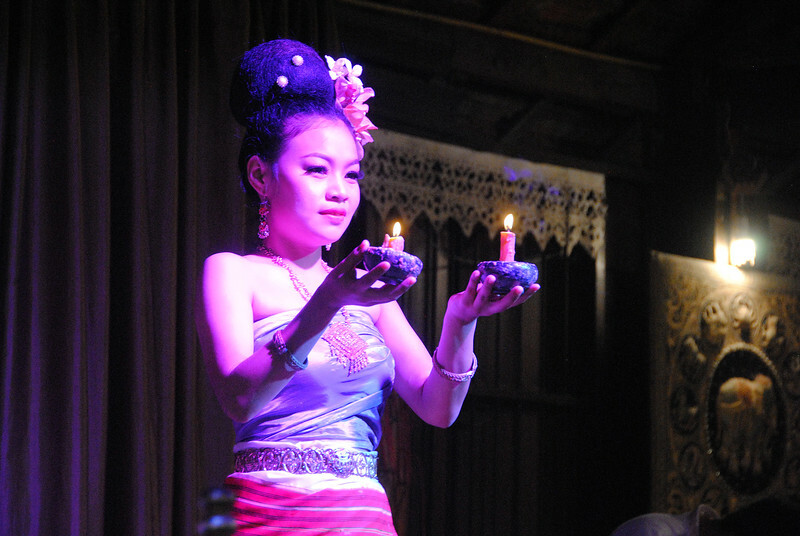 After dinner, there was a show featuring Traditional Thai dancing. I didn't find it cheesy at all! 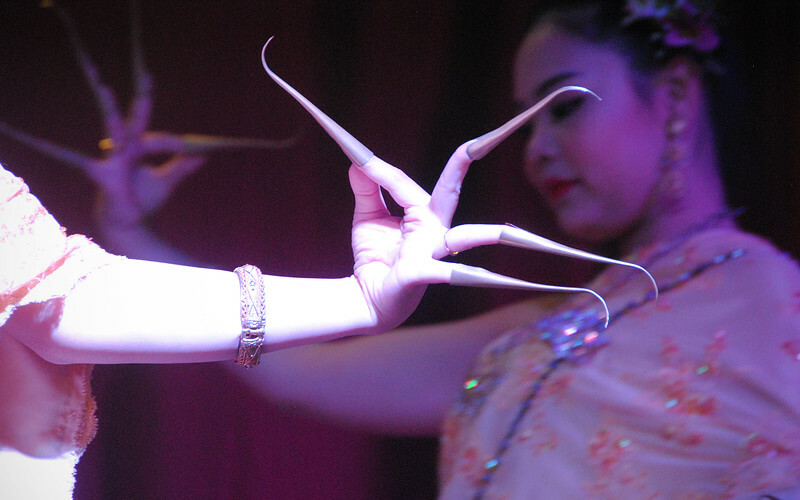 This is fawn-lep, the traditional Thai fingernail dance. 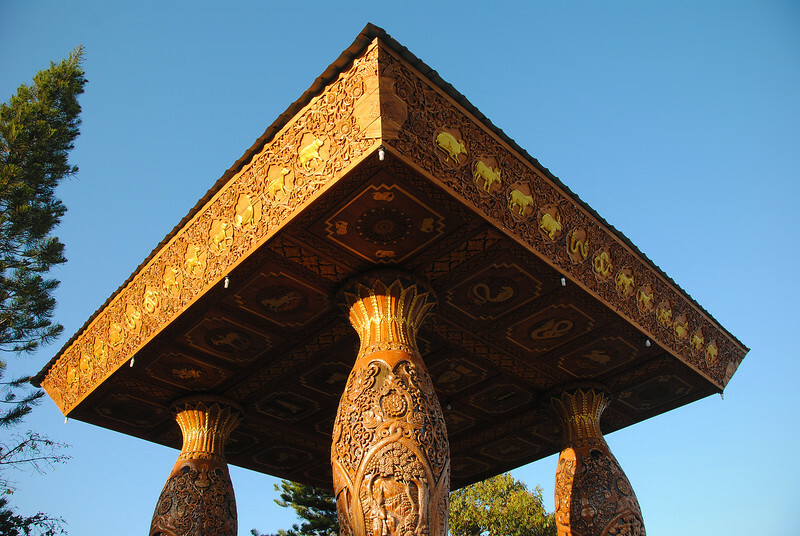 It actually originates from Chiang Mai. Cool! 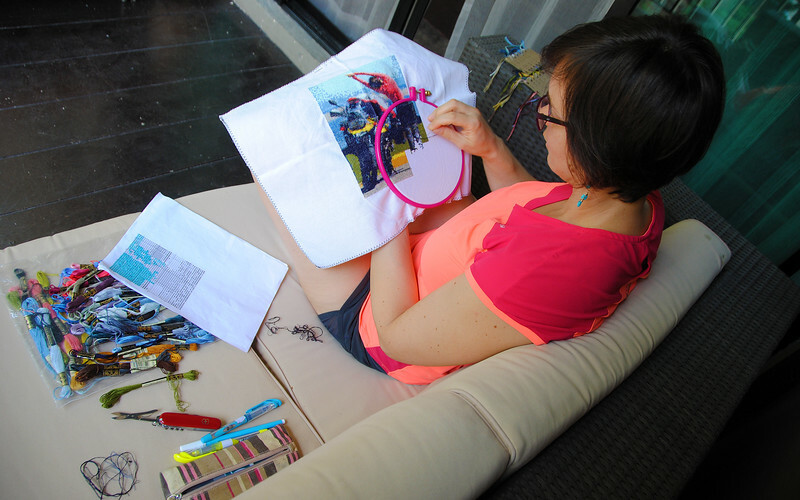 Back at home, Neda's cross-stitch is coming along nicely. You can probably already guess what it is. 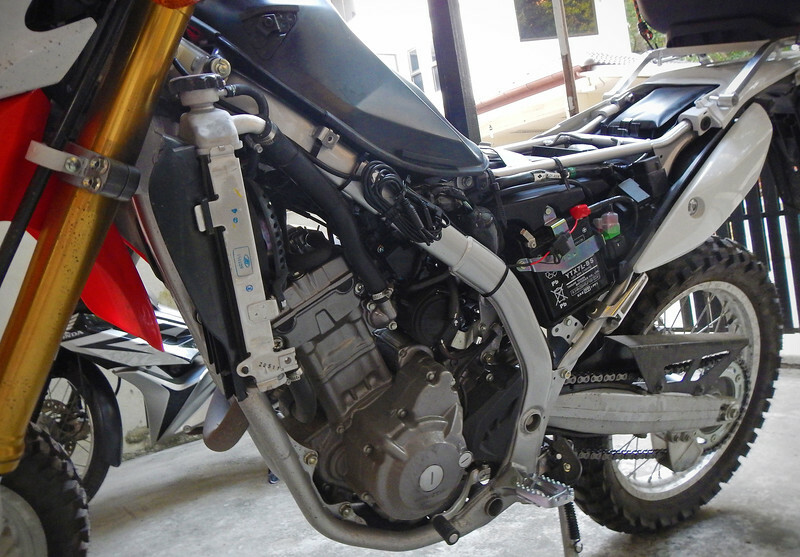 CRF gets naked so a GPS can be hooked up to the battery. Now we can be a little bit less lost in Thailand! 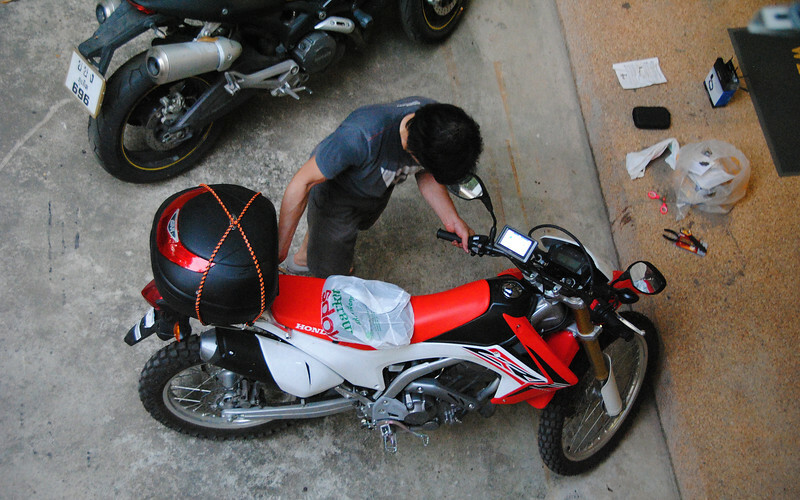 We are prepping our motorcycles for our first road trip. 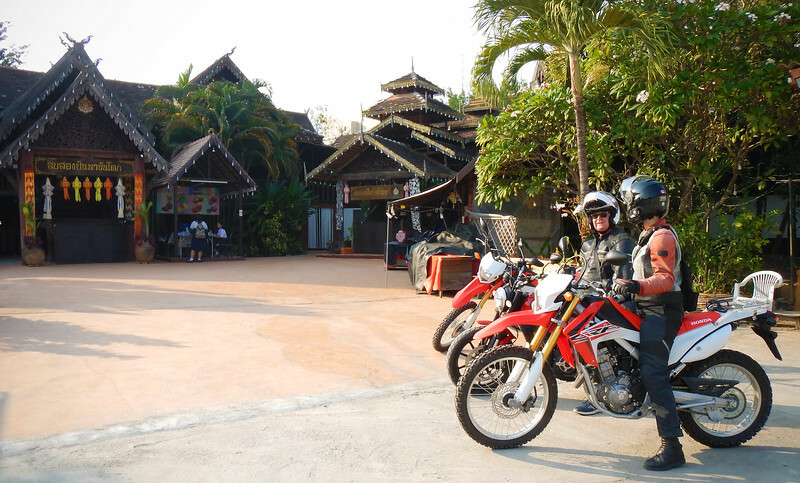 A big thank you to Lawrence from ADVRider, and his wife Dasha, who flew in from Toronto for a riding vacation in Chiang Mai. 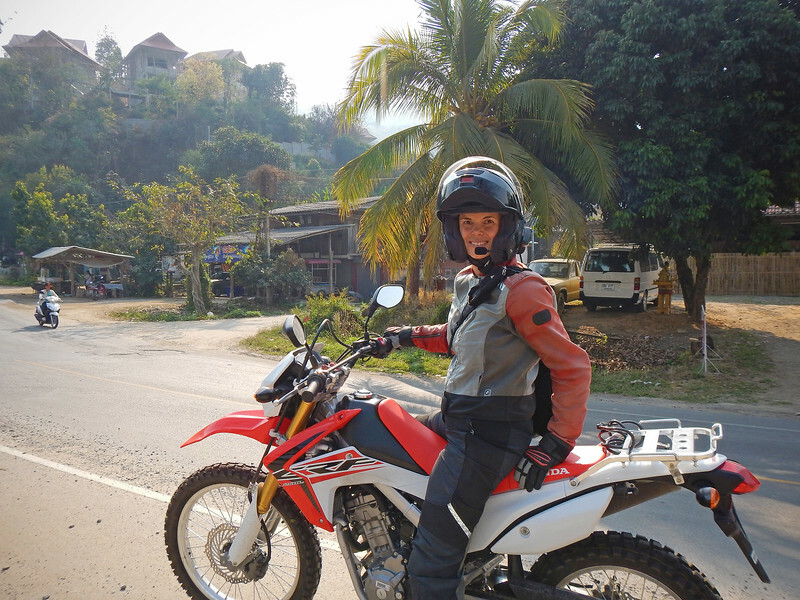 Lawrence contacted me online and offered to be my parts-mule, bringing with them some much-needed moto equipment I ordered from Canada. We cooked them a traditional Thai meal to thank them. The bungie cords over the Givi topcase are a necessity because it doesn't feel securely mounted to the rack. There's a lot of rattling behind me when riding, especially over bumpy roads. It sounds like the case is going to shake itself loose! I thought to myself, "That's not Givi quality?"... A quick check on the inside of the box revealed that it's manufactured in Malaysia, not Italy. :( The (lack of) quality is apparent, the plastic is very flimsy and the lid doesn't close properly if there's anything inside the box. It's so poorly made, it seems like you could break into the box quite easily with a wet noodle. 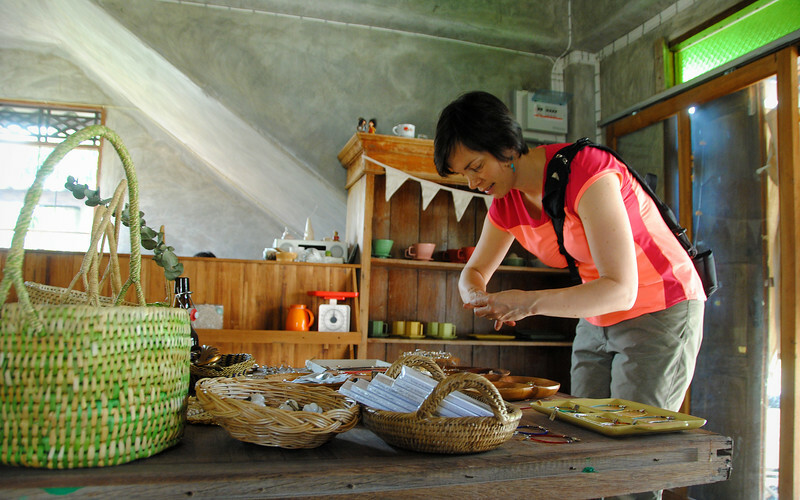 There's a lot of co-branding in Thailand because of the import duty imposed on foreign goods. At the supermarket, there's always the Thai version of western food - like Pringles. Pringles licensed their name, branding and packaging to a Thai company. Their version only costs 30 baht ($1), but they taste like crap. Then on the shelf right next to Thai Pringles is US Pringles. These ones cost 90 baht ($3), but they actually taste the way Pringles should taste! I think most people only buy Thai Pringles once. Then it's back to the real deal. So I have a Thai Pringles version of a topcase that needs to be bungied down... Damn you, Thai Pringles! Feels great to be exploring on two wheels again. 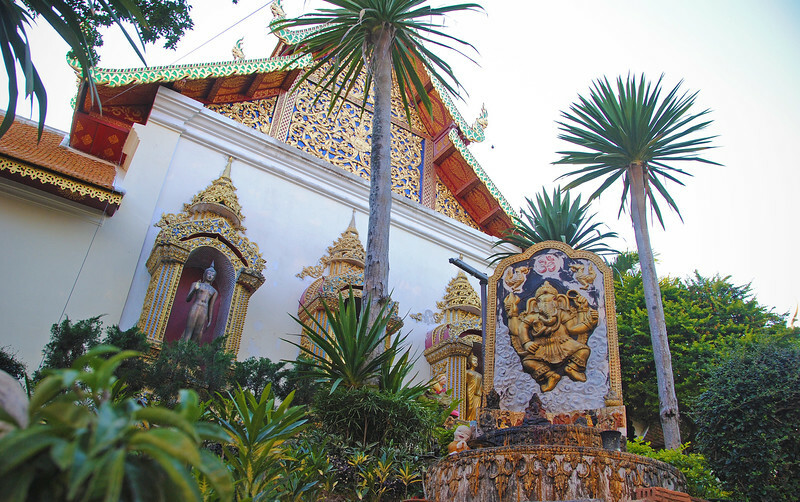 Up next: our first Thai road trip!